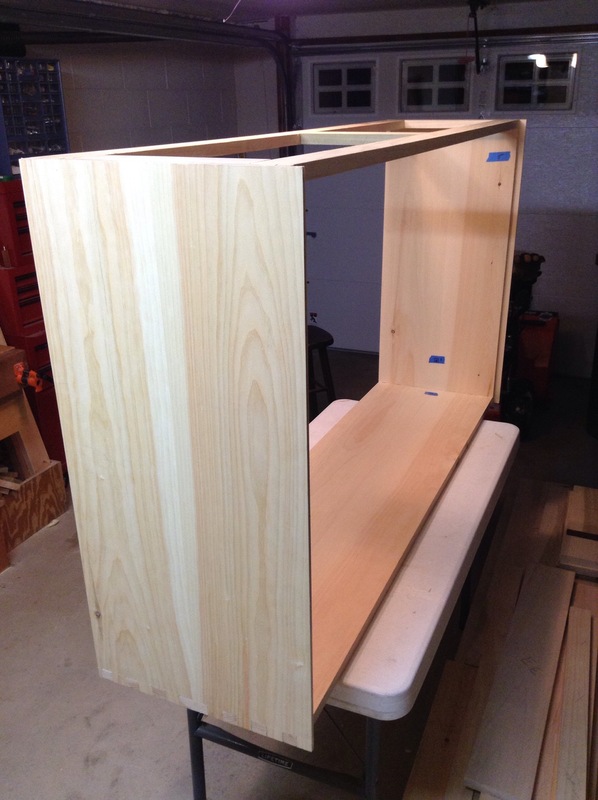 It will help to hold the carcase together, provide a surface to attach the top, and help to frame the drawers. 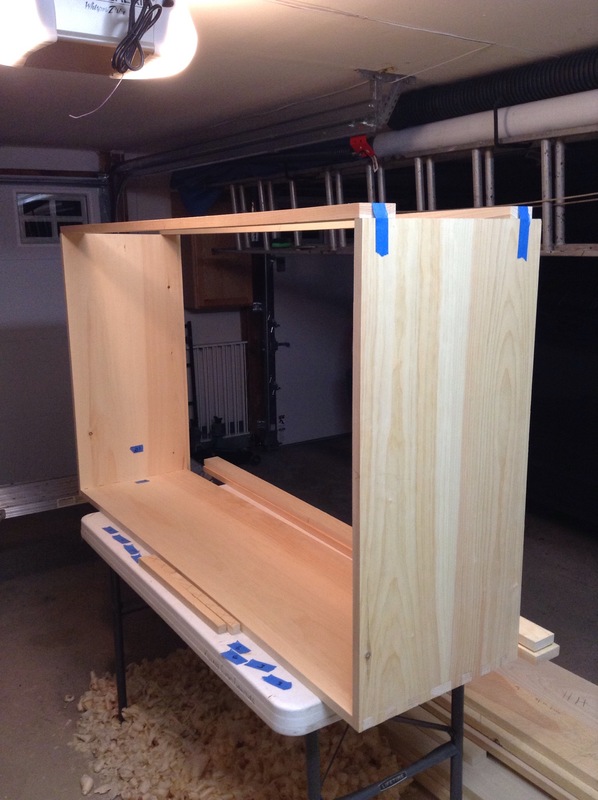 I used a little blue tape to help hold things together while I marked out for the half blind dovetails. I spent some time making sure that everything was square before marking to final length. 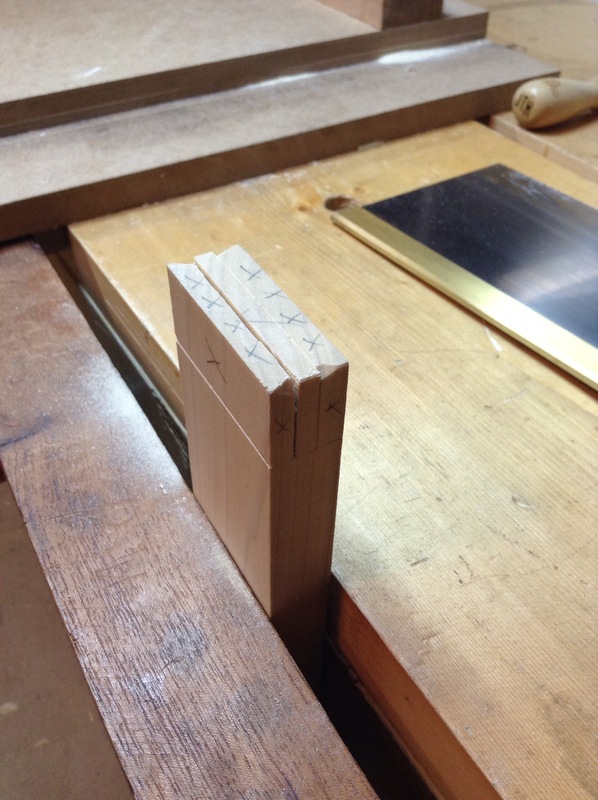 I am starting to really like cutting and fitting half blind dovetails. 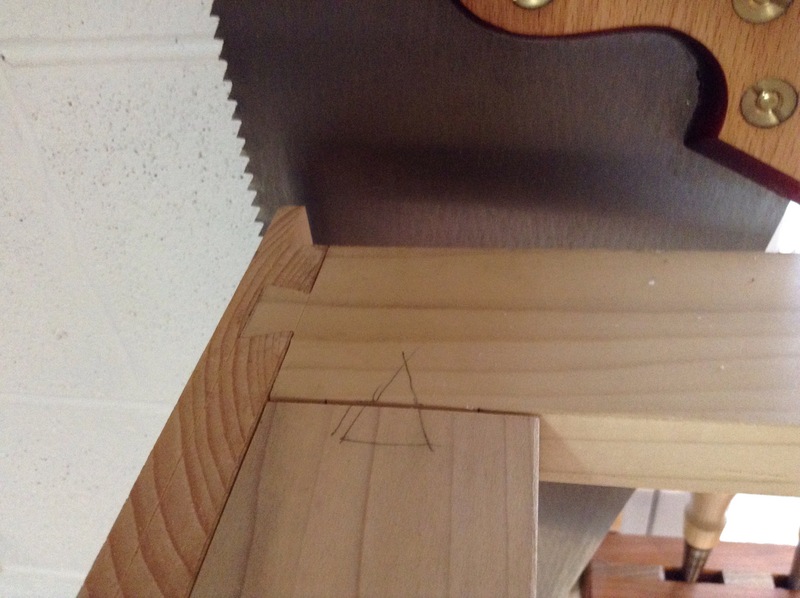 I’m still very new to this type of joinery, as in my past life – as a power tool woodworker – I only cut through dovetails. The half blind seems to come a little more easy to me; there is less fitting and paring with the chisel for me when I cut them. I think I will incorparate them more into future projects. 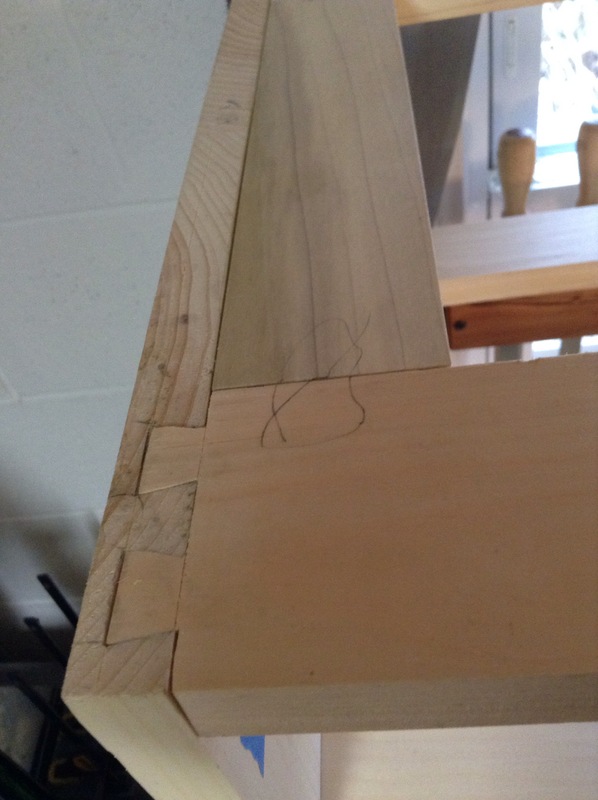 After the half blinds were cut and fit properly, the rest of the web frame (middle and sides) were constructed using mortise and tenon joinery. Only the tenons on the front of the case will be glued. The tenons on the back of the case will be free-floating (no glue) so they can move with changes in humdity. I didn’t get a shot of it working, but I got to use my “pigsticker”, which is lots of fun to use. I drove through six mortises in no time with that puppy. Here’s a couple pics of the top web from in place. -side note…nothing is glued at this point, nor will be for quite some time. I’ll be taking the carcase apart and puting it back together multiple times as I fit some other parts. 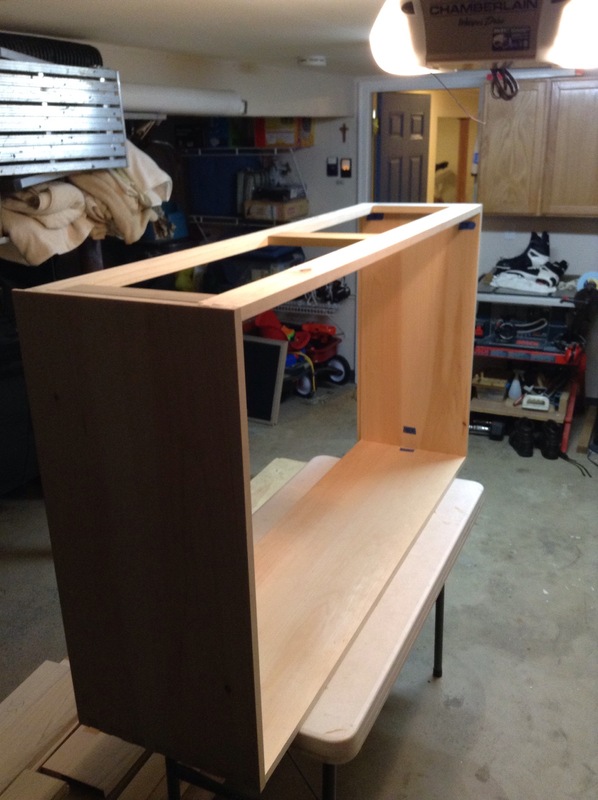 This entry was posted in furniture, hand tools, VCF, woodworking and tagged dovetails, eastern white pine, furniture, hand saw, hand tools, mortise and tenon, poplar, woodworking by villagecustomfurniture. Bookmark the permalink.